Have you been invited to a baby shower? Looking for baby shower gifts can be great fun or rather challenging. How about a few gift ideas to get you started on your search for the perfect gift? To find a creative baby gift you are probably going to do some thinking outside the box. Creative does not mean that you have to actually make the gift yourself. A creative gift could be one that is unusual or novel. It will very possibly be rather unique and might be personalised specially for this particular baby. If for you, exercising your creativity requires more than some thinking outside of the box and finding a creative or unique baby gift, perhaps making the gift yourself is the way to go. Click on the links below for more information on these homemade baby gift ideas. If you are on a budget or if you don't know the new parents all that well, you might be looking for a more inexpensive and or a less time consuming gift idea. If that describes you and your situation check out my pages on cheap baby gifts for some less expensive options. In my experience, most baby shower guests forget all about Mom and Dad when they are searching for the perfect gift. If you want your gift to stand out from the crowd, how about looking for a baby or pregnancy related gift for one or both of the parents? Something to make their first few days as parents easier or a gift that offers some pampering when they need it most. Usually the person who organised the baby shower is a friend or relation of the mum to be. They don't do it to get a gift, they put all that time and effort into planning the shower because they care. They organise the guest list, plan the menu and prepare fun shower activities. They hunt out cute decorations and arrange a shower cake. And then during the event they run around behind the scenes to make sure that the guest of honour and all her other guests are happy and comfortable. Without doubt, a gift from the guests or the new mum is a nice way to acknowledge the great job he or she has done getting the shower up and running! 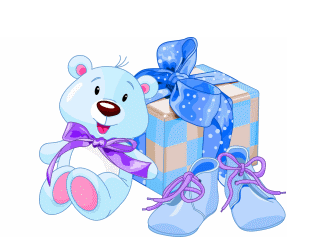 Baby shower thank you gifts do not need to be elaborate or expensive. Just a small thoughtful item to say thank you to your guests for attending the shower and for the gifts they gave the baby or the parents is enough. A gift that the guest can keep is a good idea. Here you will find the cutest of the toys, the sweetest of clothes, the best of the best!